The Clone Wars!. 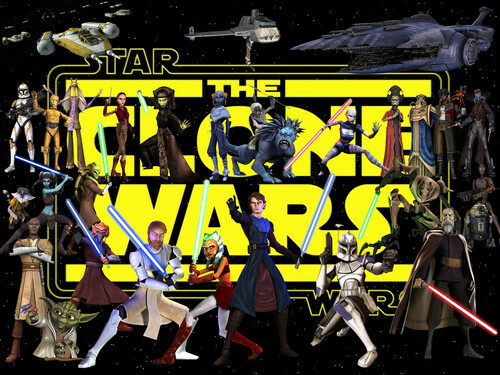 I was so inspired after recently rewatching the First Season that I decided to make this collage/wallpaper with the large blazing yellow Clone Wars logo in the center surrounded da a ton of fun characters from Season 1!. HD Wallpaper and background images in the stella, star Wars club tagged: star wars anakin ahsoka clone wars obi-wan ventress lurmen lightsaber Jedi sith. You did a great job! This is cool!